Since 1972 NOW has been offering quality powered vitamins, minerals and herbs that are ideal for making your own encapsulated supplements. 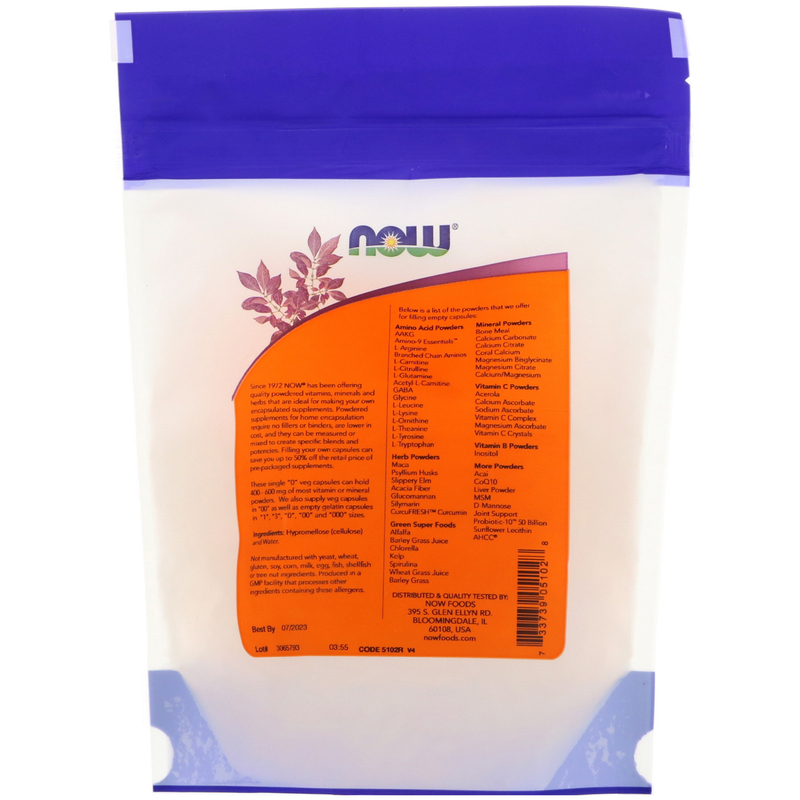 Powdered supplements for home encapsulation require no fillers or binders, are lower in cost, and they can be measured or mixed to create specific blends and potencies. Filling your own capsules can save you up to 50% off the retail price of pre-packaged supplements. 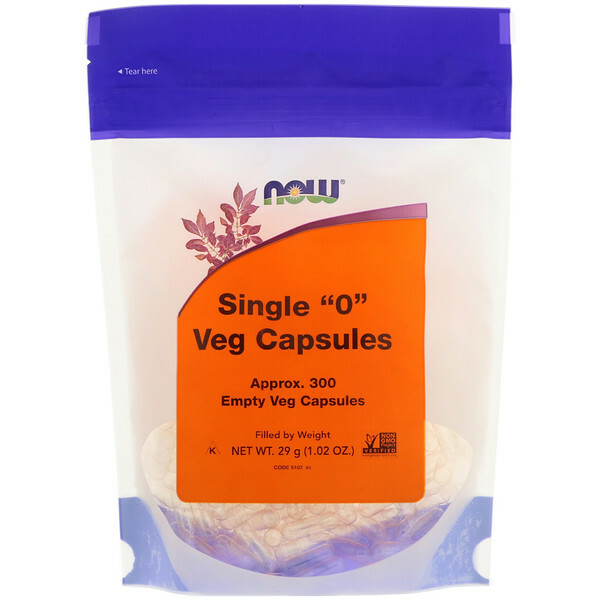 These singe "0" veg capsules can hold 400 - 600 mg of most vitamin or mineral powders. We also supply veg capsule in "00" as well as empty gelatin capsules in "1", "3". "0", "000" sizes.